Today, I will share a look which wasn’t planned at all, I did it day before yesterday and It was something I did not create for the post purpose but rather just to pass time as I was getting bored and didn’t feel like doing anything except playing around with makeup. 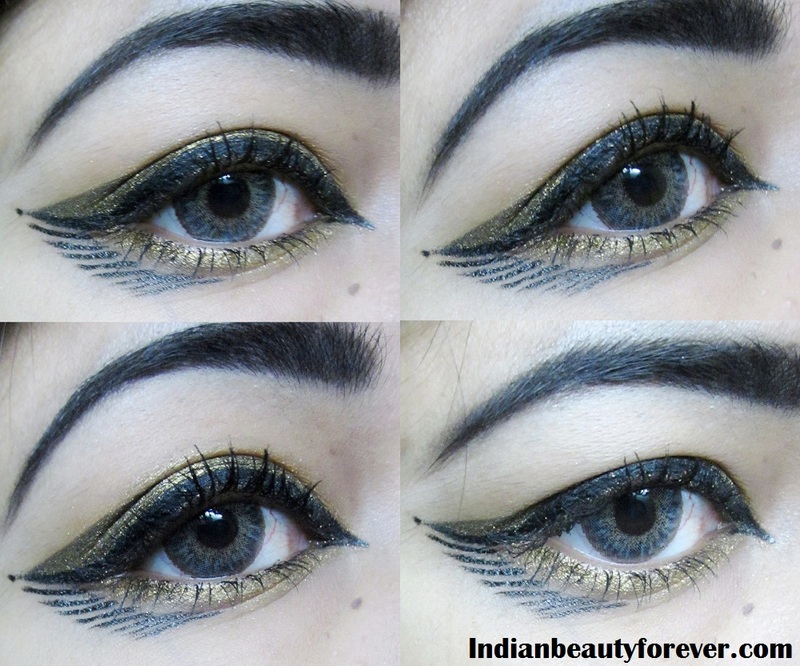 I wanted to see how a super bold liner with a sharp wing will look. I used Maybelline gel liner for this look. 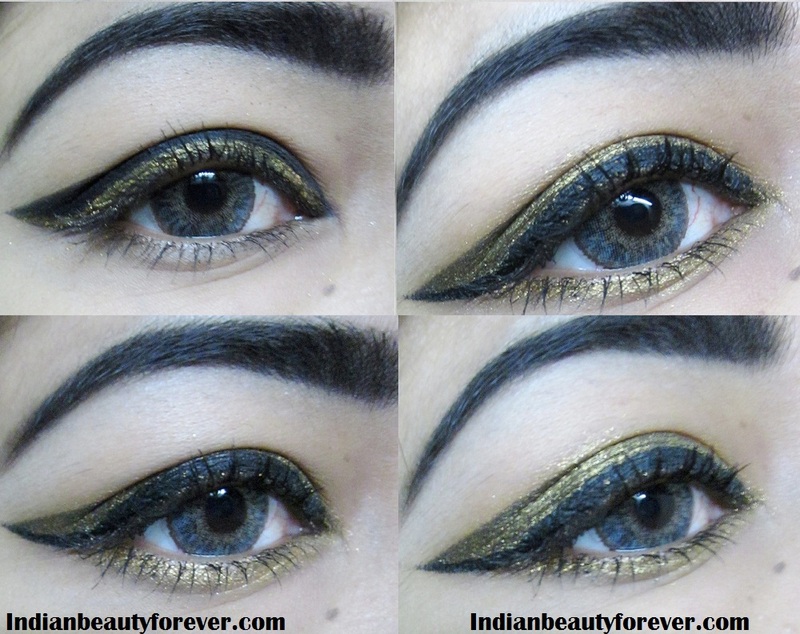 So, I applied this eyeliner that extends upto my crease. Now, my crease isn’t far away so the liner looked very thick and bold. I clicked pictures just to see how it looks like and weather it is wearable or way too dramatic. Excuse my smudged brow please! It may look way too dramatic but in person, it wasn’t looking that at all. I thoroughly enjoyed doing this wasn’t planned, it just happened! Till then, take care and Enjoy your weekends! Thank you so much Aparajita. :) Flicks make it edgier! The result is stunning! I think that also the simpler version is very nice and suits you a lot ! He he. thank you so much!! 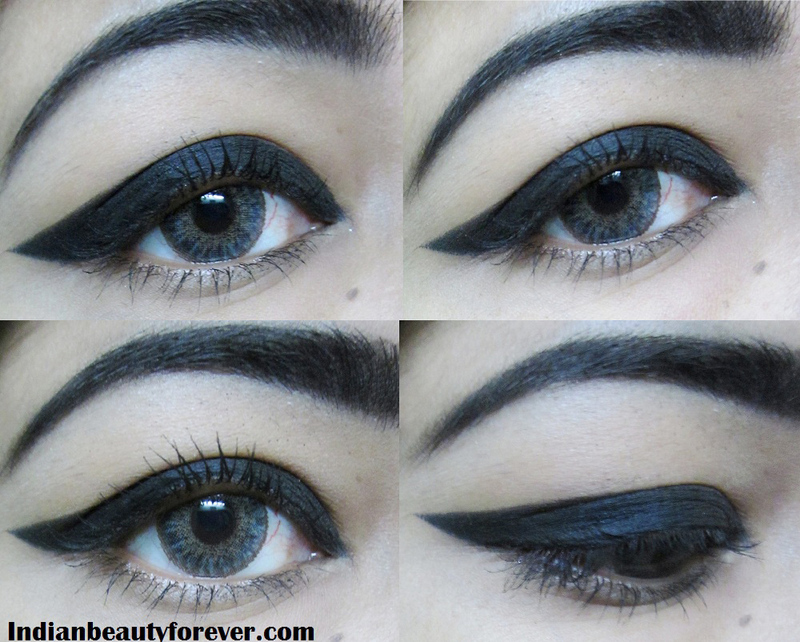 The bold eyeliner suits you a lot. The final look is very dramatic though very creative like they do on ramps or makeup schools, so it is far from kacha pukka :) Good job! And you mentioned pink pen eyeliner but those parallel lines appear black to me. Actually, I was talking about the bornpretty eyeliner that has the bright pink packaging. very pretty :) I would have loved to see the whole face look..